“Following their acclaimed tour of America in 2014, King Crimson returns to active service in 2015 for a series of performances across the UK and in Europe. 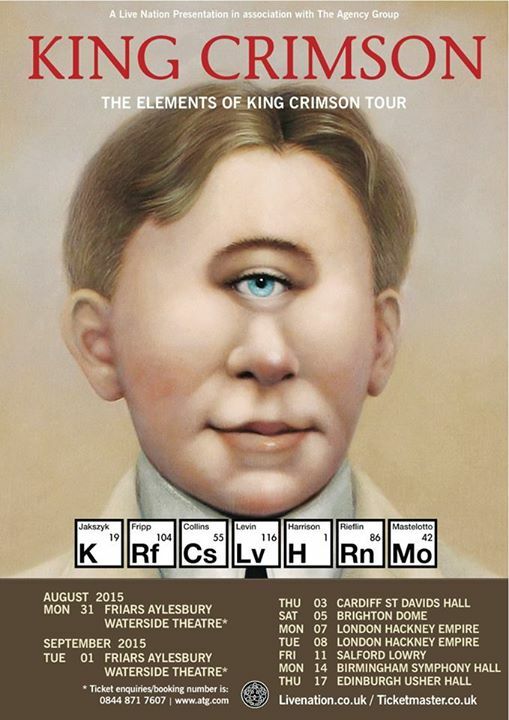 Beginning in Aylesbury on 31st August the band then appear in several cities in the UK and Europe throughout September, making this is most extensive list of UK dates played by King Crimson since the 1980s”. I don’t know, those prices leave a bit of a bad taste around here! ← ORGAN THINGS: Snik and Meggs at Stolen Space gallery this week, more drops, a mouth and….